DCT Gdansk has finalized the financing process for the expansion of the biggest container terminal in the Baltic Sea, by volume handled in 2013. The group of commercial and development banks will finance the investment and provide up to €290 million for the project. Conclusion of the financing process, together with the appointment of NV Besix SA as general contractor, are important milestones making way for the start of the investment’s construction phase. The second facility in DCT Gdansk, which will be fully operational in 2016, will allow the terminal to meet growing demand for deep-sea services in Central-Eastern Europe. The new 650m long berth will increase DCT’s annual handling capacity to up to 3 million TEU in the first stage of construction. 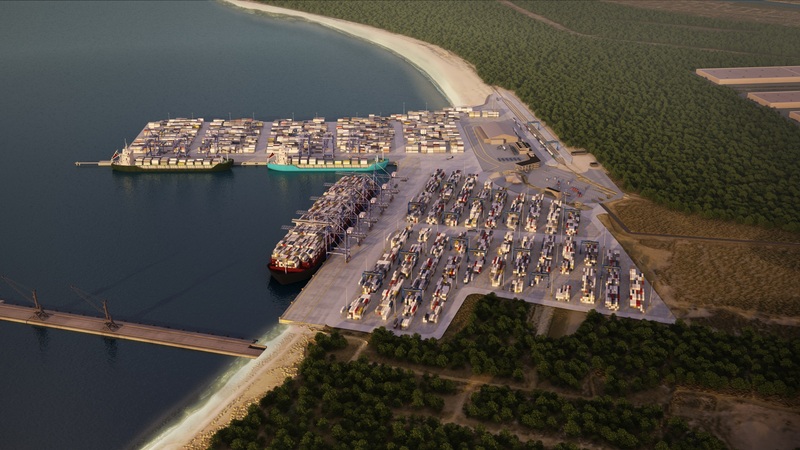 New berth at DCT Gdansk will be able to handle Ultra Large Container Vessels of capacity exceeding 18000 TEU. It will be equipped with 5 STS cranes and the required additional yard equipment. “We are approaching the completion of the project’s initial phase which directly precedes the construction works. The decision to develop the existing DCT Gdansk container terminal is a result of growing need for more efficient and economic transport solutions in the Baltic region, able to effectively compete with the Northern European container ports’ services. We are proud to be the market leader in bringing about innovation in the CEE region’s trade patterns,” said DCT Gdansk CEO Maciek Kwiatkowski.